Help! I Don't See A Chat Button! If you can't see the in-app chat button, you may be using an Ad Blocker. Learn how to enable chat so our Support team can better assist you. If you are on our website are unable to see the in-app Chat button, it's possible that the Chat button may be blocked by an ad blocker that has been installed or built-into your web browser. Here at Wheelhouse, we use a third-part chat tool called Intercom to provide chat and support services to our customers. Why would an ad blocking extension or plugin block the Chat button? 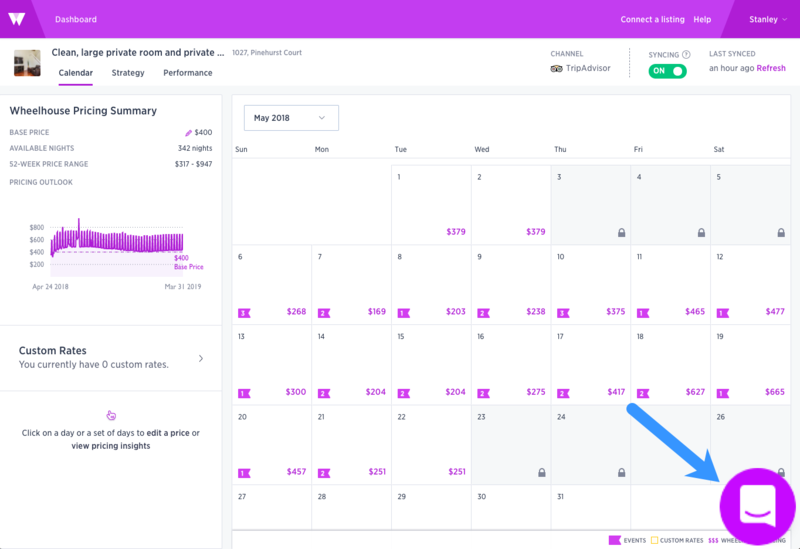 Since Intercom communicates conversation detail as well as offering the ability to submit application insights about your behavior within the Wheelhouse application, Intercom has made their way onto some of these secondary lists. Though there are many lists, the majority of Intercom blockages are caused by their inclusion in the EasyList list. EasyList is an optional supplementary subscription that completely removes all forms of tracking from the internet, including web bugs, tracking scripts and information collectors, thereby protecting your personal data. How can I enable the Chat support button? *.usewheelhouse.com Wheelhouse does not serve ads, so it's safe to whitelist our domain. *.segment.io Required to enable the chat button. *.segment.com Required to enable the chat button. *.intercom.com Required to enable the chat button.